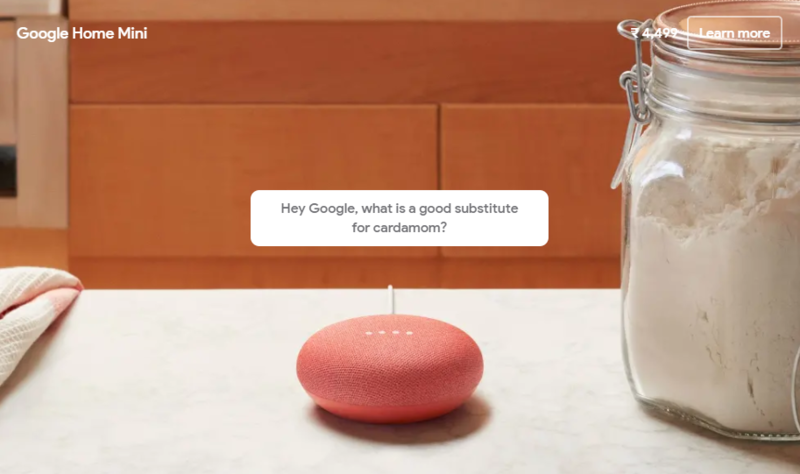 The signs have been popping here and there and everywhere and now it's finally official: Google is bringing its smart speaker duo, the Home and Home Mini, to India. But before you get ahead of yourself and jump in excitement, you may want to do a double check on the prices: Rs 9,999 for the larger Home (approx. $154) and 4,499 (approx. $69). As always, prices outside the US are higher, and the sting is even more palpable in this case when the Home is over a year old and has been discounted to around $80 a few times and the Mini to $29 in the US. However, customers in India will get a few interesting perks with their orders. A six-month subscription to Google Play Music is offered, and users will get nice offers and discounts on Saavn and Gaana music services, plus there's a 10% cashback when buying with an HDFC Bank credit card. The Home and Home Mini will be available from several retailers, and each one might also add a couple of perks: Flipkart, the exclusive online retailer, is giving a free JioFi router, Reliance Digital and JioFi stores are giving the same router with 100GB of 4G data, Croma stores have a bundle with the Mini and Philips Hue, and more. Over 750 retail stores across the country are expected to have the Home duo available. As for colors, the bigger Home will come in chalk only, whereas the Mini is now available in chalk and charcoal, with coral said to be "coming soon." As a Google Home user, I can assure you that the convenience far outweighs the steep introductory price. Not only is it great for controlling music playback and the smart home, it's truly a versatile assistant and I use mine constantly to set reminders and calendar events, ask about the weather (especially when doing laundry, heh), set up timers and ask about unit conversions while cooking, find my phone after misplacing it somewhere around the house, and broadcast messages to wake up my husband after he snoozes the alarm for the tenth time. There's a lot more you can do with a Home, so if you're considering one I suggest you check our ultimate guide with plenty of explanations, tips, and use cases.